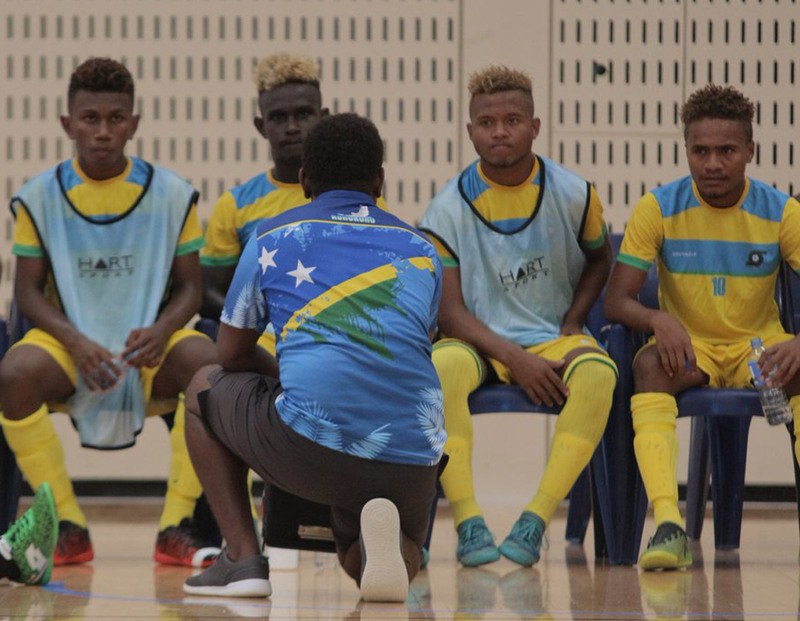 While most people spent the early part of January still recovering from the excesses of the festive season, for some Solomon Islands futsal players it was quite a different story. A number of squads travelled to Australia to take part in the 2018 National Futsal Championship including the two-time champion U-12 team, an U-14 side and the Oceania Youth Futsal Champion U-19 team. For the third consecutive year, the U-12 squad took out the title after a nail-biting final against the FNSW Thunder 6-5. It was a perfect start for the Solomon Islanders as Paul Ruaewa fired home in the 7th minute before nailing another five minutes later. A further two to Paul Francis and Tony Ainifiti gave the visitors a 5-1 lead at the break before their opponents launched a scathing comeback in the second half. Although Ainifiti added a sixth to the tally for Solomon Islands, the Thunder looked to set up a dream finish after a penalty in the dying stages but the Solomon Islands held on to claim the win. The U-14 side made it to the semi-finals where they played FNSW U-14 Boys Thunder but despite a goal for Martin Fanuga, the side were unable to over come their opponents who progressed to the final on the back of a 4-1 victory. OFC Youth Futsal Golden Boot winner Raphael Le’ai got on the board in the U-19 semi-final against FNSW U-19 Lightning, but like the U-14 side, it wasn’t enough as their opponents ran out to a 6-1 victory. Although his U-19 side couldn’t make the final on this occasion coach Stanley Puairana said it was priceless experience for a squad which is building up to the Youth Olympic Games later this year. “We’ve really come here for our preparation for the Youth Olympics,” Puairana said. “We’ve come here to learn, to gain experience. We’ve already qualified for the Olympics so most of the guys here are 15-17 years old and we took them out of the U-16 league back home. “It’s good for them to play in a hard group like the U-19s. I think it’s a good test for the boys to build their confidence, their physical and mental strength. They are competing against much bigger boys as this is what we’re expecting at the international level come November in Argentina.